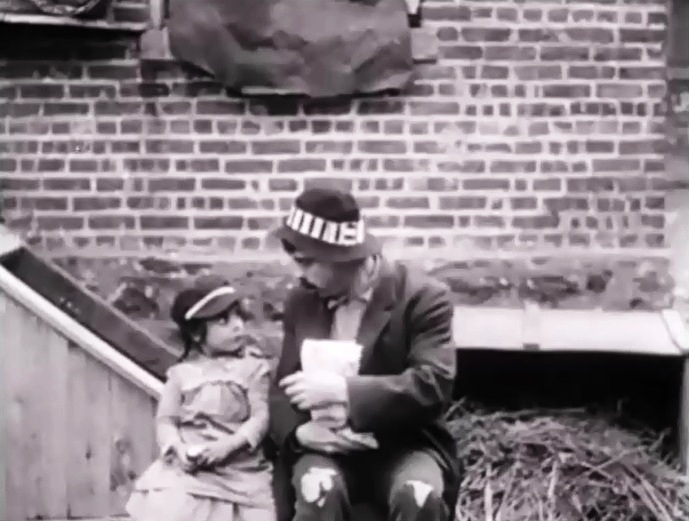 The Miser's Heart (1911) is a short crime drama directed by D. W. Griffith. This film illustrates the work of actor Robert Harron and cinematographer Billy Bitzer, stars of Silent Hall of Fame. An old miser (Adolph Lestina) is friends with a neighbor's little girl Kathy (Ynez Seabury). One day the miser is attacked in his home by two crooks, who threaten to hurt the child unless he gives them the money. At the same time a petty thief (Lionel Barrymore), who is being sought by a baker (Robert Harron) for stealing his goods, sees the girl hanging by a rope. So the miser has to choose between his money and the well-being of the girl, and the petty thief also has a dilemma: leave the girl in danger or report the incident to the police and risk going to jail. 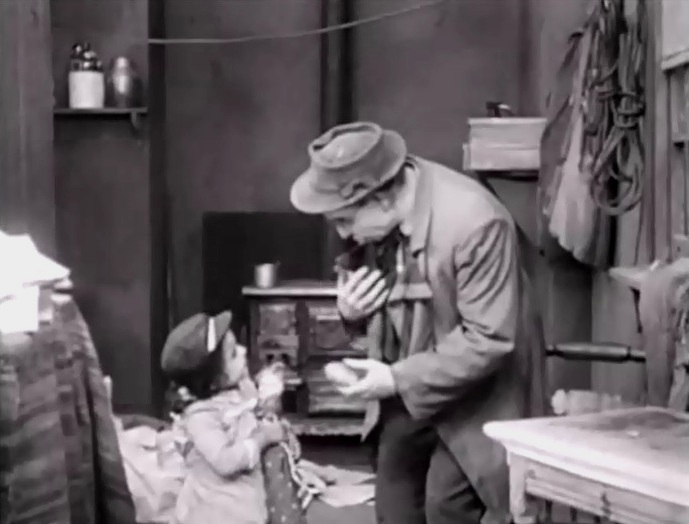 Ynez Seabury gets half a bun from Adolph Lestina in "The Miser's Heart" (1911), directed by D. W. Griffith, cinematographer Billy Bitzer. Lionel Barrymore craves a fresh bun as Robert Harron chats with a friend in "The Miser's Heart" (1911), directed by D. W. Griffith, cinematographer Billy Bitzer. 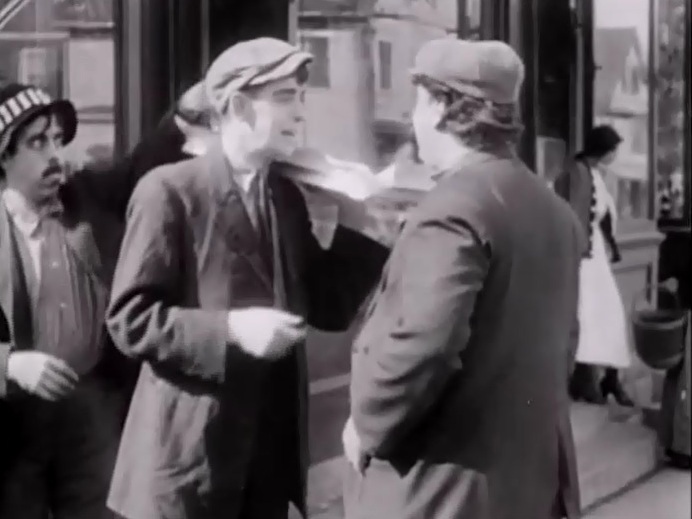 Lionel Barrymore snatches a bag of buns as Robert Harron chats with a friend in "The Miser's Heart" (1911), directed by D. W. Griffith, cinematographer Billy Bitzer. 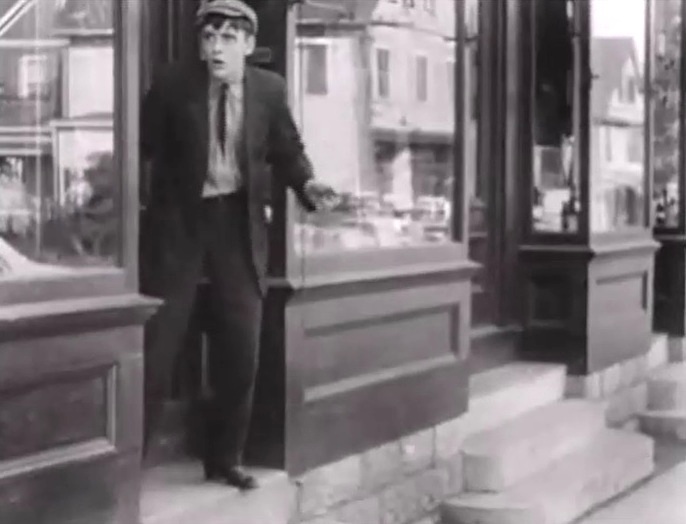 Robert Harron returns from a fruitless chase in "The Miser's Heart" (1911), directed by D. W. Griffith, cinematographer Billy Bitzer. 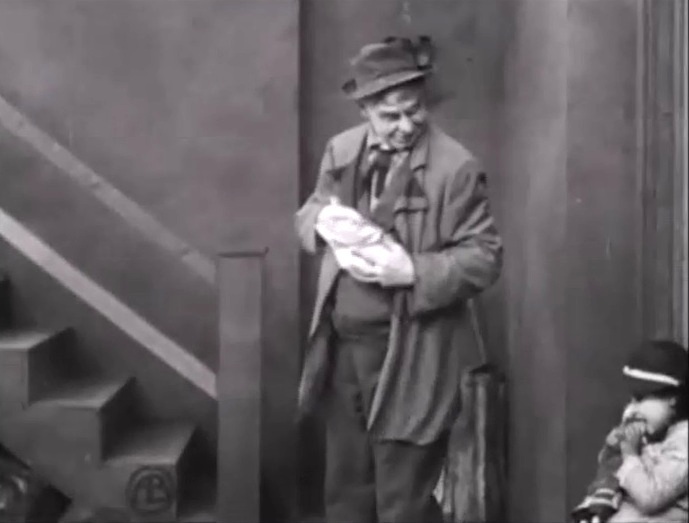 Ynez Seabury takes a bun from Lionel Barrymore in "The Miser's Heart" (1911), directed by D. W. Griffith, cinematographer Billy Bitzer. Ynez Seabury gives a whole bun to Adolph Lestina in "The Miser's Heart" (1911), directed by D. W. Griffith, cinematographer Billy Bitzer. 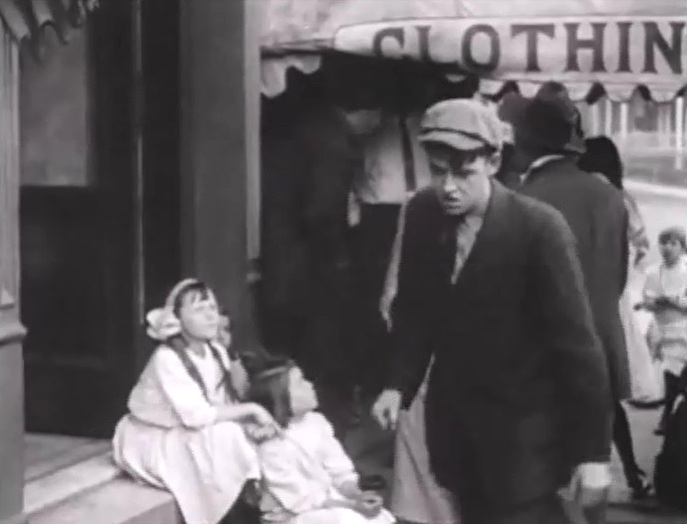 Robert Harron sees the thief again in "The Miser's Heart" (1911), directed by D. W. Griffith, cinematographer Billy Bitzer. 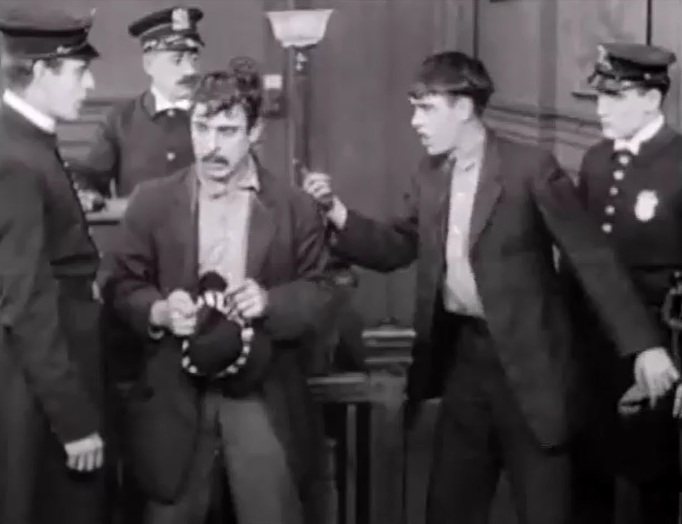 Lionel Barrymore is confronted by Robert Harron at the police station in "The Miser's Heart" (1911), directed by D. W. Griffith, cinematographer Billy Bitzer.